Welch Forsman is one of the top residential contractors in Minneapolis, MN. For over 25 years they have been remodeling some of the finest homes in the area. The company needed an online presence to show off these beautiful homes, and give homeowners a place to learn about the company. I created a simple, clean, Wordpress-based site that allows for easy updates and news articles. 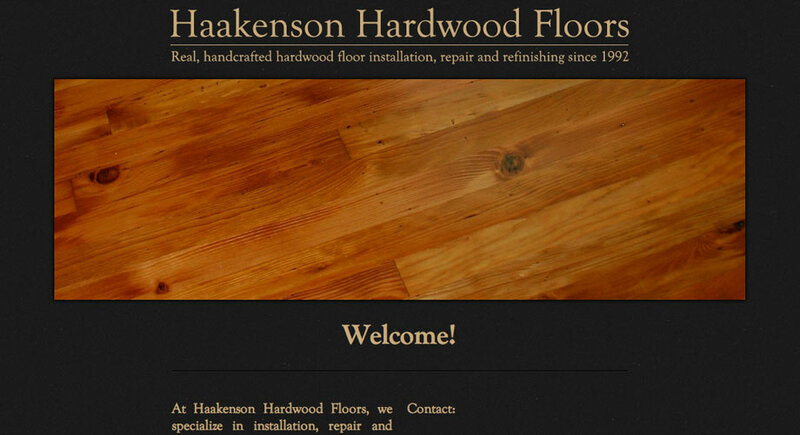 Haakenson Hardwood Floors is a Minneapolis company that was in need of a website revamp. 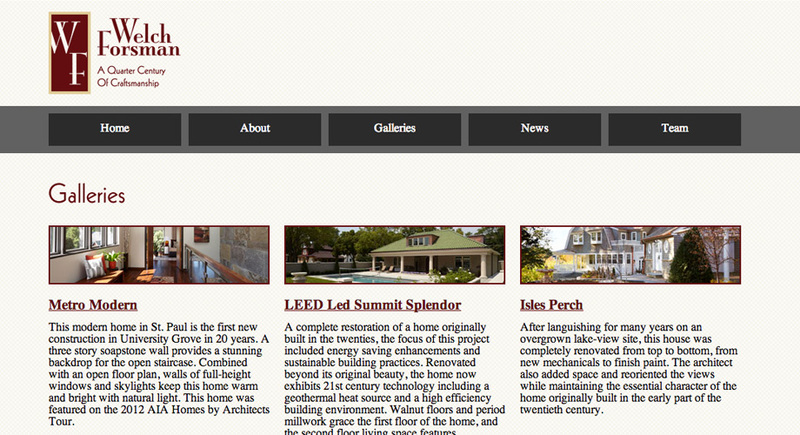 Owner Peter Haakenson built their first site by hand, and was interested in learning more about CSS and HTML. I was able to build the site in a way that would allow him to easily dive in and make any changes he wanted, with basic instruction and training from me. The emphasis is on the friendly crew, and photos of their beautifully finished hardwood floors. 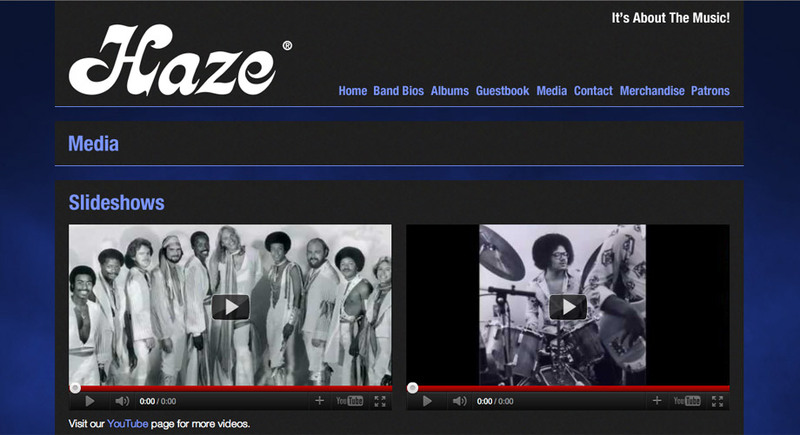 Recently rediscovered, HAZE were playing amazing funk back in the 60s and 70s in Minneapolis. Their return to the spotlight demanded a web presence containing their history, and a new place to sell their albums. I was tasked with creating it. I wanted to make all of their media and information as available to fans as possible, so I focussed on creating an easy-to-use, minimally distracting collection of fun-to-read pages. Using Wordpress as a framework allowed me to easily incorporate a guestbook-style comment page, and leaves plenty of room for future expansion and editing. With the new site, the band are currently selling records and giving old (and new) fans a place to learn and connect. 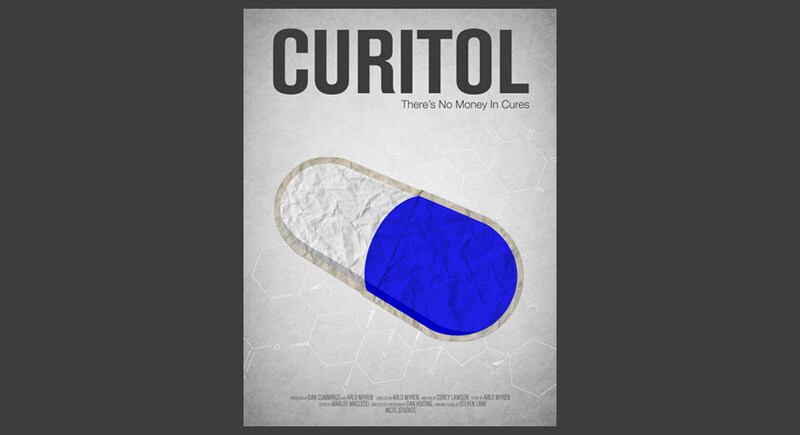 A friend of mine wrote and directed a short film called Curitol, about a pharmaceutical engineer who stumbles upon a cure-all pill. I re-created the visual chemical structure of two of the ingredients typically used in lethal injections and used them as background imagery. Though subtle, the juxtaposition of these deadly chemicals with the positive effects of a would-be cure-all pill, is a powerful statement against the imposing nature of top pharmaceutical companies. Matching business cards were included to help market the film. Alyssa is a highly talented and knowledgable photographer. 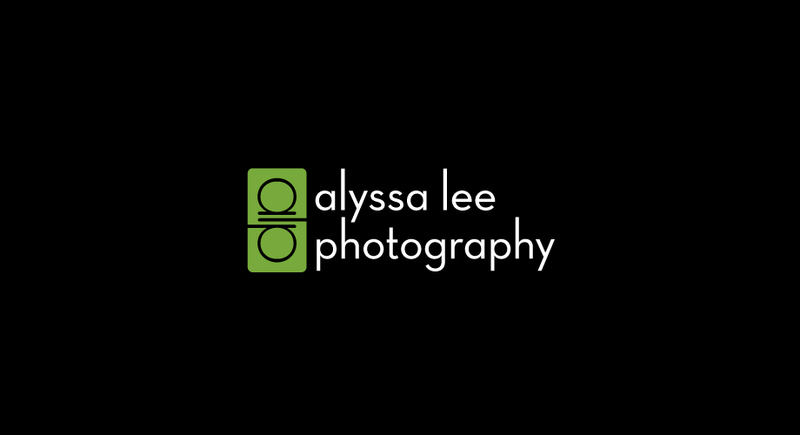 I wanted use her logo to help display her knowledge of current and past photography skills, techniques, and technologies. The a, l, and p in the logo combine with the green rectangle to echo old twin lense reflex cameras. The project also involved business cards, a printed portfolio used in a gallery setting, and a website. Jimmi approached me hoping I could build his band a website enabling them to host music & photos, sell albums, display a gig calendar, and write blog posts. We have since expanded it to include videos and reviews of shows and albums. 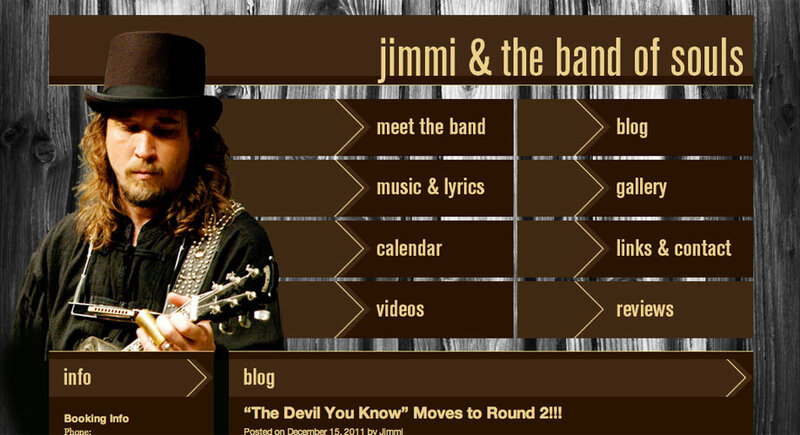 The ability for Jimmi and his bandmates to make news announcements and post new shows to the calendar on their own has given them great flexibility and control over their online presence.